Cascarones follows the life of a Mexican American girl in Texas that must balance her culturally rich heritage in a whitewashed school. Why was this an important book for you to write? It was important for me to write and share my story since I believe that diversity is so important to all of us. Everyone needs to know that being different is a gift― especially our young readers. They need to be able to see themselves, their culture, and their traditions in books, music, and movies. Since reading has always been one of my passions, I realized that there was a lack of published stories that reflected Mexican American families such as mine. When I was growing up, I loved it when our teachers would take us to the library to check out books. As I grew older, I started to realize that most of those books were about people that I couldn’t relate to. The characters weren’t anything like my family or friends. They didn’t look like us and definitely didn’t talk like us. When I started visiting bookstores, the same seemed true. Even today, it is still difficult to find books written by Mexican American authors in libraries or bookstores. I felt it was important to write about my beautiful culture and traditions so that readers would be able to experience the rich and colorful experiences that I was so privileged to grow up with. We get to explore Suzy’s character all the way to adulthood. What were some driving ideals behind her character? Cascarones is about a Mexican American girl growing up in South Texas always surrounded by family and friends. Love, faith, and simple fun are seen through her character. In a way, her stories are universal because everyone has their own version of Suzy’s story. She grew up surrounded by people who left a huge impression on her just by being in her life. Her character is able to change and adapt to the situations that change in her life. Many of the characters in Cascarones are based on people who passed away at a very young age. They are vital to Suzy’s life and helped to shape who she becomes. Since Suzy grows up in a large extended family that is surrounded by love, she realizes that everyone in her life is important even though she is faced by challenges. Each story gives more insight into the family as well as their culture and history. What were some themes you wanted to explore in this book? The title Cascarones represents the cycle of life. The cascaron starts out as an egg with so much promise for life. The gold yolk inside symbolizes the life that we all have since we all start our journey as an egg. However, in order to make a cascaron the egg is removed, and the shell is then decorated in the most beautiful and artistic way possible. It is then cracked, falls to the ground and becomes part of the earth. It fertilizes the dirt and is reborn with the grass, trees, and flowers. That is what happens to us. Our life begins as an egg. We all have a gold yolk that represents our inner soul, but at the end our body goes back to the ground. The shell or the cascaron represents us, for we are all here only temporarily. In an instant we could be gone, for we do not know when our time will come. Life is fragile, just like a cascaron. Everyone has a story inside of them waiting to be written. If there is not anything out there that reflects who you are, then it’s up to you to do something about it. Whether it’s about one’s religion or no religion, culture, or even sexual orientation it’s important to share one’s own story. Start writing and get the message out to everyone else. Once the writing starts, the rest will fall into place. My next book is titled The Golden Egg and should be released next month. I’m really excited about it because it will be a bilingual chapter book. One page will be in English and the following page in Spanish. Even though Cascarones has some Spanish in it, many people have asked about a bilingual version. I also have a poetry book that is forthcoming. Poetry is something that I truly enjoy, and it’s a beautiful way to express feelings in an artistic way. I have several selections that I’m excited to share with readers. 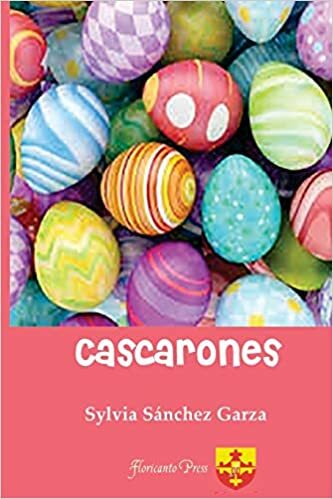 Cascarones is a young adult bildungsroman, a coming of age story narrated in a non-linear fashion that revolves around the life of a Mexican American family living in the Rio Grande Valley in Deep South Texas. The main character, Suzy, as well as her family and friends are encircled by rich traditions and culture of the region, shaping who she becomes. There are many beautiful people depicted in this novel who helped transform Suzy. The narrative shifts from present to the past to connect the reader with cultural traditions that changed through the years. It exposes how Easter was and is currently celebrated in the Rio Grande Valley and growing up during the sixties and seventies as a Mexican American amidst discriminatory undertones. Sylvia Sánchez-Garza was born in Mercedes, Texas and raised in Weslaco, Texas. As a young girl, her family moved to Houston, Texas for a few years while her father worked on his doctorate at the University of Houston. She returned to and settled in the Rio Grande Valley. “I knew that it would always be my home,” Dr. Sánchez-Garza confessed. She and her husband live in Edinburg, Texas and own a real estate business. She has four sons, who make her very proud. She holds a B.A. in English, an M.A. in School Administration, and a Ph.D. in Leadership Studies. Cascarones is her first novel. Stuart Dyson of the Laredo ATF is missing, and his girlfriend, Tracy, an officer with the Laredo police department, just may know more than she is willing to share with the men and women dedicated to finding Stuart. When the FBI Trackers are assigned Stuart’s case, Tracy cooperates while running her own investigation on the side. The Trackers are a specialized unit within in the FBI and have a stunning track record of successes. They are Stuart’s best hope, but they can barely do their job for keeping Tracy in check. When the entire investigation hinges on determining the significance of a note scrap reading “27.43 pounds”, the Trackers find themselves fighting against the clock to rescue not only Stuart but Tracy as well. 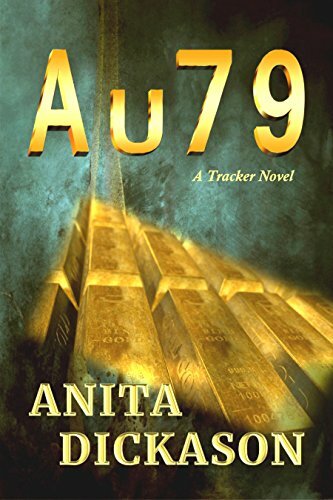 Anita Dickason’s A u 7 9 is a unique brand of thriller. The FBI Trackers embody all of the mind-blowing aspects of the FBI, and Nicki Allison stands out among the members of the team. Her dedication to each investigation knows no boundaries, including sleep. Dickason paints a vivid picture of Nicki as she manipulates her way through staggering amounts of data to pinpoint needed evidence. She is a character to be admired. Eddie Owens, the young reporter receiving anonymous tips as to Stuart’s possible involvement in his own disappearance, plays a key role throughout the book. Not one of the characters readers might put a lot of stock in at the outset of the book, Eddie becomes more and more colorful as the chapters pass. Eddie easily stands as my favorite character from A u 7 9. I appreciate the way Dickason stretches out each discovery and keeps readers guessing regarding the meaning of the “27.43 pounds.” As each character ponders the meaning and subsequent research is conducted by the Trackers, the reader becomes increasingly invested in finding out how something so seemingly insignificant could impact Stuart and the fight to find him before his time runs out. I am not sure I can remember the last thriller I read that has such a satisfying way of slowly revealing the connection between the title and the book’s plot. I kept trying to guess the significance of A u 7 9 to the sequence of events and was pleasantly surprised at the ultimate reveal. 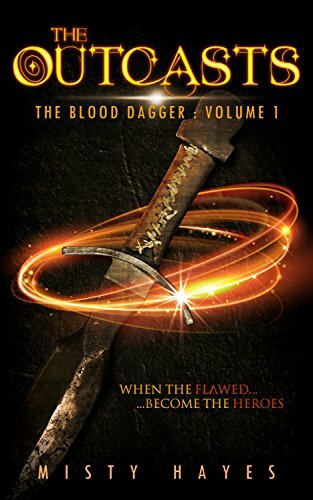 Dickason pulls together the plot and title in a unique and refreshing way. Dickason’s writing is engaging to say the least. Many times, books of this genre can be heavy on narrative. Dickason, however, provides the perfect blend of dialogue and narrative adding to the overall depth of her characters. As far as crime thrillers go, Dickason has hit it out of the park. The team of Trackers who serve as her main characters do not disappoint, consistently provide suspense, drama, and humor. Any fan of crime dramas/mysteries will be drawn to both the writing style and the engaging plot of A u 7 9. Dickason’s own background in law enforcement plays heavily into her writing and makes for a book no fan of crime thrillers will be able to forget. A Texas ATF agent, Stuart Dyson, has disappeared. When the local investigation stalls, FBI Tracker Adrian Dillard arrives in Laredo to find out why. He’s not greeted with open arms. Plagued by the resentment from the local agents, his every lead dead ends—literally. As the body count rises, Adrian’s uncanny intuition kicks into high gear. Who knows more than they are telling? Is the missing agent an unwitting victim, or a deadly mastermind? And who is staying a step ahead of him? Dyson’s fiancée, Homicide Detective Tracy Harlowe, may have the answers, but she’s not talking. The secrets the impetuous detective is hiding could very well get her killed. A chilling discovery that links the two largest Texas Universities puts Homeland Security on high alert. Pressure mounts as the President demands answers. When Tracy disappears, Adrian knows he’s running out of time. There’s only one question left. Who dies next? The Ghetto Blues by Tammy Campbell Brooks unexpectedly won my heart. 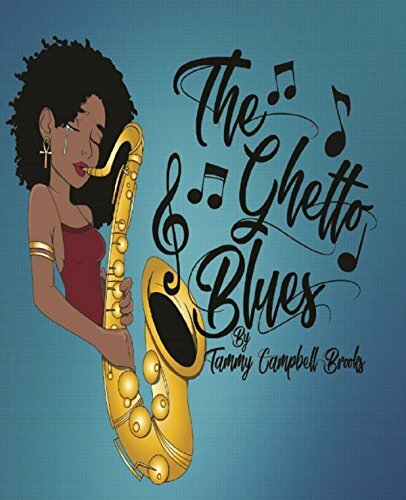 The book’s full title is The Ghetto Blues – An Autobiography of Tammy Campbell Brooks’ Trepidation, Tragedy, and Triumph, and it follows the life of Tammy from childhood through adulthood. In the opening pages of the prologue, Tammy’s daughter writes, “In this book, you will go through different stages of emotions from tears, laughter, happiness, and joy of growing up in poverty and impoverished environments, but not letting the circumstances define you.” As I began the book, I was skeptical that I would experience all these emotions, but as I concluded the final chapter, “Bells Will Be Ringing,” I found that Tammy’s daughter had been entirely right all along. Typically, authors are referred to by their last names in reviews, but after reading Tammy’s story, I feel it only right to call her by her first name. Tammy’s story was incredibly challenging for me to read at the beginning because it is so disparate from my own experience in suburban America. Growing up in the projects of San Antonio, Tammy had an upbringing that is almost unbelievable for most readers – gunshots, emotional and physical abuse, poverty, extreme hunger – but she avoids writing about her experiences in such a way as to say, oh woe is me! Completely the opposite, Tammy describes herself as driven and dedicated. Even though she experiences setbacks and succumbs to vices that will have readers wanting to call her up and say, what were you thinking? !, she does not let her weaknesses or mistakes define her, and she is always striving for the best out of herself. Tammy’s autobiography is written in an almost spoken format, and not at all how Strunk & White might have preferred. While the typos and grammatical errors irritated me at the beginning on the book, I came to realize that if it had been written like Faulkner, for example, it would not have truly been Tammy’s autobiography. Her story is edgy and uncomfortable, and sometimes painful to read. It is the opposite of polished, but it is honest and eye-opening. That said, the book would have benefitted from some additional editing to correct some of the simple spelling errors and word usage errors. Those glaring errors are the only reason I would give the story four stars instead of five, because Tammy’s story is undeniably a full five stars. Describing Tammy to someone who hasn’t read her autobiography feels almost as if she must be fictional: how could one woman overcome all those challenges thrown at her? Not only is Tammy an inspiration, but she was also eye-opening to me. I knew nothing of the ghetto lifestyle in the projects that she describes, and her story reiterates the age-old adage of “don’t judge a book by its cover.” At the conclusion of her autobiography, my overwhelming emotion was one of thinking that Tammy’s story would be amazing to share through radio or podcast. The courage and strength that it took Tammy to share her and her family’s story with readers should not be underestimated, and I hope that many readers have the opportunity to learn from her experiences. Mr. 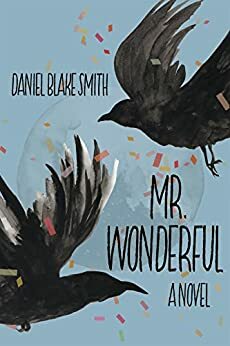 Wonderful, by Daniel Blake Smith, is the touching tale of Brian Fenton, a college professor in the throes of a crisis like none he has ever faced. Brian and his wife, Corinne, are parents to a thirty-year-old son, Danny. The two adopted Danny as an infant at Brian’s insistence. From the beginning of Danny’s life with the Fentons, Corinne struggles to find her motherly instincts and is, for lack of a better word, relieved when Danny becomes a self-sufficient adult and leaves them as empty nesters. Danny’s return to their home turns Corinne and Brian’s lives upside down as Brian, in turn, deals with his elderly father’s declining health and the increasing pressures of a career he, may or may not, still love. Smith weaves an intricate story of love lost between parents and children. The first person narrative is highly effective at drawing the reader into Brian’s sorrow, frustration, and his panic at being the voice of reason both at home between Corinne and Danny and long distance as he goes head-to-head with his brother, Jeff, over his father’s care. It is hard to watch Brian ponder the differences between his memories of his father’s treatment of him and his brother and the way in which his stepmother, Claire, speaks so lovingly of Robert, his father, as she cares for him. His emotions are raw, real, and easily relatable. Corinne–not my favorite character. Her coldness toward Danny and her disdain at having to see him again in her home is as amazing as it is heartbreaking. Danny, not the best behaved boy on the block, is not welcomed by Corinne, and the blame she throws at Brian is somewhat misplaced and a struggle to witness. I found myself wanting her turnaround to come–and to come soon. Smith has written a memorable, if infuriating, character in Corinne. Brian’s relationship and subsequent discoveries about his father’s past are poignant. Robert, ailing and entering the stages of dementia, is also hard to like. The manner in which Brian describes his past with his father left me wanting desperately to not feel sorry for Robert. Here, again, Smith crafts a turn of events that left this reader feeling a sense of compassion she did not see coming–but appreciated in the end. I have to admit I saw Brian as weak. I didn’t want to, but I found myself wanting to shake him and jerk him upright from the downhill slide he was surely taking as the days passed him by. By the story’s climax, in Brian’s hometown of Juniper, Texas, I was more than ready for Brian, and Corinne, to show growth. Smith creates the perfect opportunity for self-awareness and life-changing decisions with his choice to bring his characters together in Juniper. I have to give Mr. Wonderful an emphatic 5 stars out of 5. Smith’s use of the alternating first person points of view creates a deep connection between readers and characters. The Fenton family and their trials are not to be missed. In spite of the world’s struggle and sorrow, life sometimes shows us the wonderful. Brian Fenton’s life is falling apart. A professor at a bankrupt “directional school,” Brian suddenly learns he must either take early retirement or double his workload. As he confronts the embarrassment of his job going south, Brian discovers that his loopy son, Danny, is paying a surprise visit—which can only mean a hand out for money and a need to crash. To top it all off, Brian is fielding frantic calls about his aging father who’s declining rapidly with dementia. When Brian’s father passes, the gathered Fenton family partakes in a volatile small-town Texas funeral—at once hilarious and poignant—which produces startling revelations about Doc Fenton that propel Brian and the whole family into a new direction, a new path forward. In the engaging vein of Ann Patchett’s Commonwealth and Jonathan Tropper’s This Is Where I Leave You, Daniel Blake Smith’s debut novel is at once a comic and heart-wrenching family saga. It offers a piercingly honest window into how we struggle to make sense of ourselves, our families, and our life purpose. If we’re lucky, we discover Mr. Wonderful. 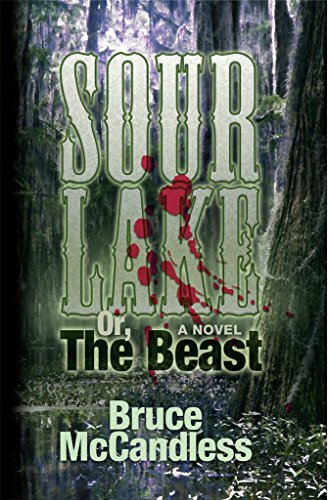 Sour Lake follows Sheriff Reeves as he tries to solve a brutal murder while navigating the towns racial tensions and economic despair. What was the the inspiration behind the setup to this interesting novel? It started as a more or less straight horror story, based on legends and tall tales I heard growing up about Texas at the turn of the 20th Century. My wife’s family is from the Big Thicket area, and the more I started talking and writing, the more interested I became in the social history and mores of the people in the area. The story takes place in 1911 in a small Texas town. Why did you choose this setting for your story? 1911 was something that came to me in a dream, about halfway through the story. In the dream, I was searching through old newspapers for clues about the central mystery in the book. I looked down to turn the page, and I saw the date: October 17, 1911. Weird, right? So I just went with it. Sheriff Reeves Duncan lost his wife, is a recovering alcoholic, but manages to keep a level head in intense situations. What obstacles did you feel were important to push his character development in the story? Reeves Duncan is a fun character. I think what I like most about him is that he’s comfortable in his own skin. He knows his own limitations, but at the same time he has a pretty fierce streak of stubbornness that compels him to do the right thing, even if he knows he’s going to be disliked for it. Apart from having to wrestle with the bizarre nature of the crimes he is investigating, the biggest obstacle he faces is having to stand up to his own friends and neighbors in order to protect an innocent man and, ultimately, bring the true killer to justice. I’m actually working on a prequel to Sour Lake, but I can’t say much about it because it’s still in its very early stages. If anyone’s interested in reading something that, like Sour Lake, combines horror and history, please check out my novel The Black Book of Cyrenaica. Or, if you’re not interested in horror, please try my coming-of-age story Color War, which is also set in East Texas, this time though in 1974. It’s 1911. Someone, or something, is leaving the good citizens of East Texas’s Ochiltree County savagely mutilated and drained of blood. Slow-talking Sheriff Reeves Duncan needs to put an end to the murders, and soon. But it won’t be easy. This is the Big Thicket, dark and brooding, haunted by racial tensions and economic despair. Fortunately, Sheriff Duncan can count on the assistance of an undersized but tough-as-rawhide Texas Ranger, two physicians, a mechanical wunderkind, and a soft-spoken idiot savant who knows the sloughs and baygalls of the Thicket like his own backyard. This league of unimpressive gentlemen is about to be tested by the cunning and ferocity of an enemy that walks by night–and the tentacles of a desperate sectarian plot that threatens the very survival of the human race. Keep the lights on when you read this book! 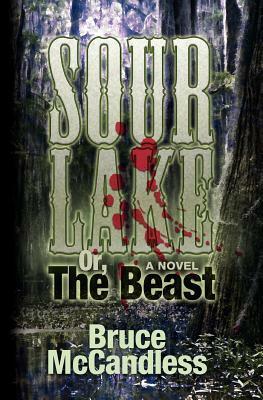 Sour Lake Or, The Beast will transport you back in time to East Texas, 1911. Chapter one is called Pray, and that is your only warning of what is to lie ahead. A brutal and gruesome death of the young school teacher Lenard Dalchau leads you into the world of this small Texas county of Ochiltree. Prejudice and racism run high and the locals want this death solved and forgotten quick. Reeves Duncan, the sheriff however isn’t one to just jump to conclusions and hang the wrong man. Agreeing with the sheriff that this is no ordinary murder case is “Doc” Walter McDivitt that has seen enough brutality for a lifetime. These two take the lead in discovering the truth. Together they discover a truth that no one wants to hear, and no one would believe if they did. Bruce McCandless III is a talented author that is a cross between Steven King and the voice actor Robert Clotworthy. The historical descriptions and language are offensive to modern society but are accurate for 1911. It is so clear you feel like you are really back in Texas in the early 1900’s and living with this society. I’m not typically a person that enjoys horror novels because my imagination will just keep me up all night with every bump in the dark. McCandless however has written a story so engaging I couldn’t put it down. There are so many surprises in the pages it is hard to reveal much for fear of giving away the next piece of the plot. I can say I fell in love with the character of Sheriff Duncan. A man that lost his wife, became an alcoholic and overcame it. A mild mannered man that wants to be fair and not rock the boat. He does have a conscience and uses that to guide him as the story progresses, that inner instinct and unwillingness to follow a mob mentality. Sheriff Duncan believes in facts, and even when those facts point to things that should not be real he doesn’t discredit it. When all is said and done, he just wants to walk away. But how can you walk away from the nightmares he endured? This is a novel you just can’t put down, it will draw in readers that like historical fiction, horror, a little sci-fi and a lot of action and gore. All the main characters are given rich back stories so you feel you really know who they are and how they ended up in Ochiltree County. The story line is unique and completely original probably because of when it takes places. Overall, I recommend this book to anyone that needs an escape from modern drama, this book will take you away and make you think, as well as surprise you from one chapter to the next.